My trek to Club 122 continues this weekend with a trip to Raleigh to see the Carolina Hurricanes. I initially planned to rent a car in New York and drive all the way, but realized that I could take a bus to Washington and rent a car there instead, saving quite a bit of money in the process. 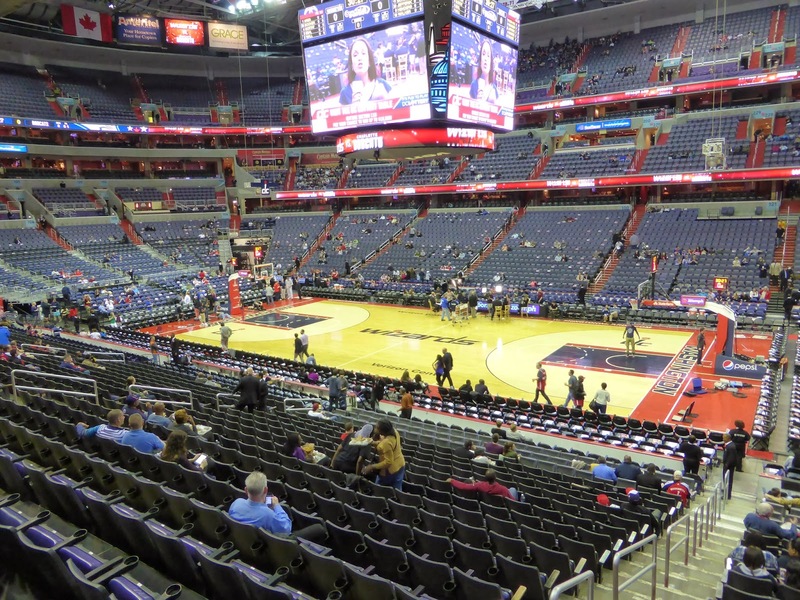 The NBA schedule had the Charlotte Bobcats visiting the Wizards the night before the Hurricanes game, so I decided to see that. 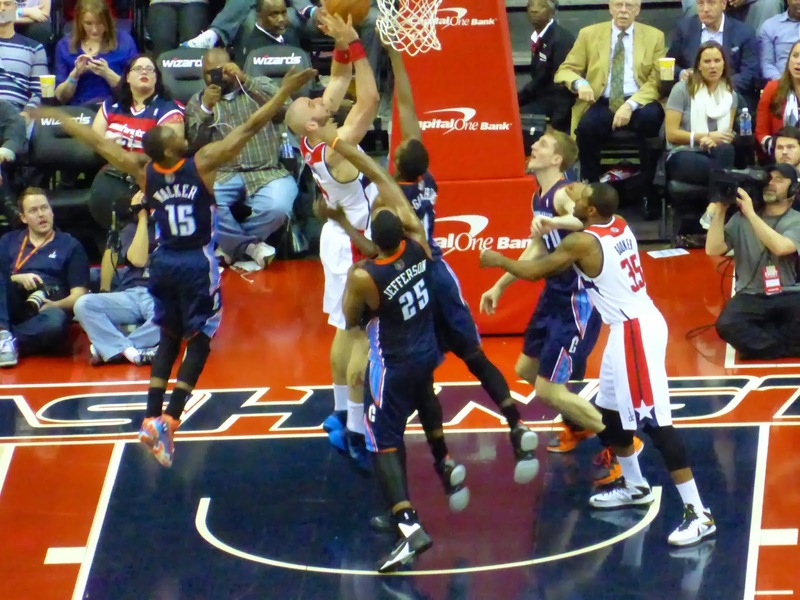 Did you know the Bobcats and Wizards are both playoff teams in the horrid Eastern Conference? 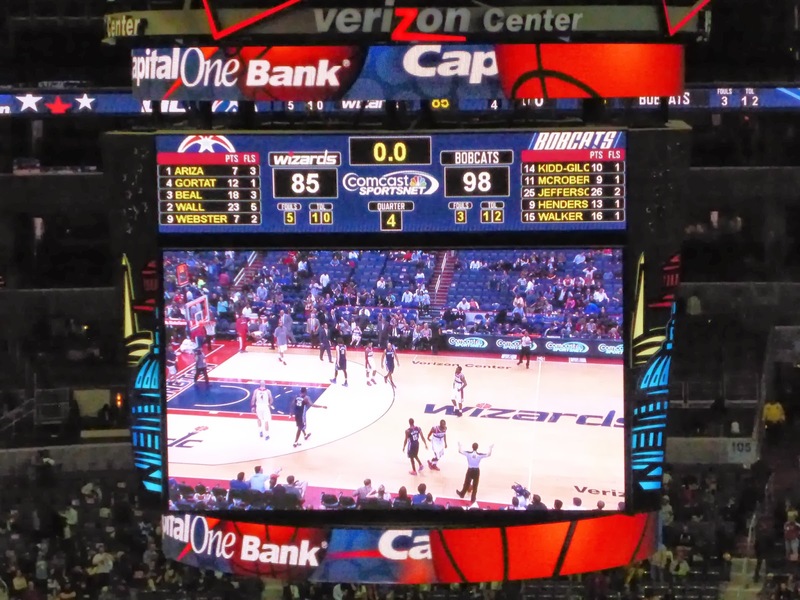 Yep, the Wizards at 33-30 were in 6th, one spot ahead of the Bobcats at 30-34. This was a critical playoff positioning battle that would doubtless have the eyes of all NBA fans riveted to their TVs. I had bought two tickets in the first row in the corner down low as I have a friend in Washington who wanted to attend with me. Then my regular road tripping buddy Sharpy decided to fly down to join me for the whole five-day adventure, so I put those tickets up for sale and was fortunate that somebody picked them up, earning me a small profit. I then bought 3 tickets in the first row of the upper deck for $6.80 each. Some tickets were going for $3.99, so I splurged in relative terms. Sharpy ran into problems flying down from Ottawa, as a winter storm took Toronto by surprise. His connecting flight was cancelled and the next flight was delayed until 5:15, leaving him about 7 hours at Pearson Airport. The game started without him in attendance, but his was not the only empty seat. 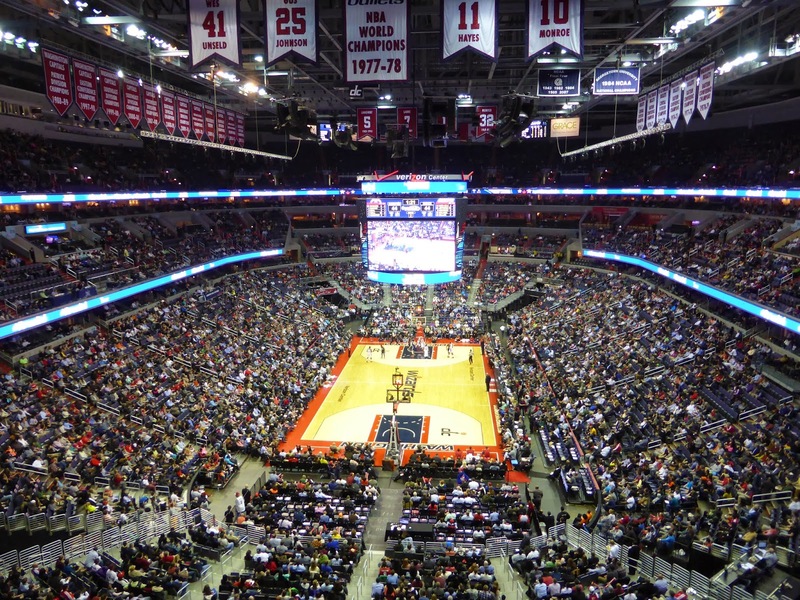 I would estimate capacity at about 65% as Washington sports fans seemed to be more interested in American's Patriot League championship game. The first three quarters were a back-and-forth affair with neither team building more than a 6-point lead. 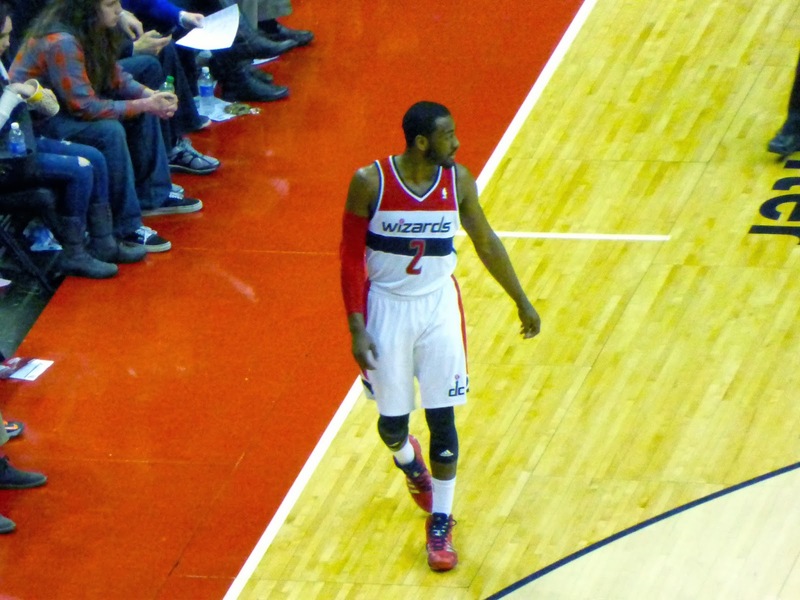 John Wall (below) was the best player on the floor, scoring 14 in the first quarter alone. With about 8 minutes to go in the game and Washington up 77-75, Sharpy finally arrived. He brought the cold weather to the home team though, as the Wizards suddenly froze up, unable to make a shot as Charlotte went on a 19-3 run to win easily, 98-85. Al Jefferson led all scorers with 26 points and added 10 boards, while Wall finished with 23. A completely forgettable game. Toronto might face Washington in the first round of the playoffs, I might come back for a game or two. Remember the Bullets? 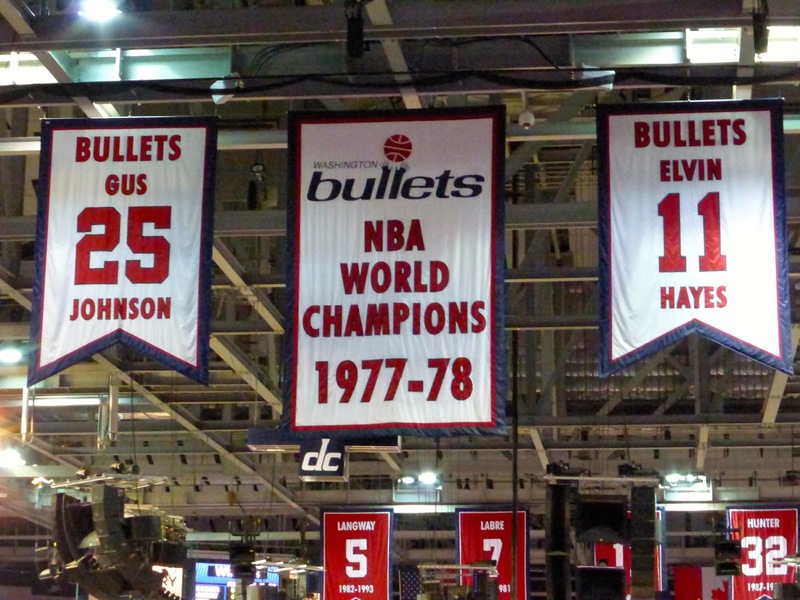 They won the title way back in 1978. That was the same year that Montreal swept the Leafs in the semi-finals on their way to another Cup.